As the ‘Go Gluten-Free’ juggernaut continues to sweep across the world, more and more people are opting to eliminate wheat from their diet, without fully understanding the benefits of this trend or the reason behind the omission, hence the question, what is celiac disease. The general consensus is that Gluten free equals healthy. Apart from a booming food products industry with alternative grains and gluten-free labels, it is also instilling a paranoia in a large part of the population who link almost any health problem to gluten. It seems that gluten may well be on its way to become a catchall phrase for any health related problem, like IBS is for gut related ones. It can cause everything from headaches to Alzheimer’s. Quite a wide repertoire for a simple protein that was consumed for decades by more than half of the world’s population. Gluten has changed from many decades ago, it no longer is the same specially as to how it’s used nowadays. But not everyone may be experiencing the most dangerous side effects of Gluten, which are caused in a condition called Celiac disease. 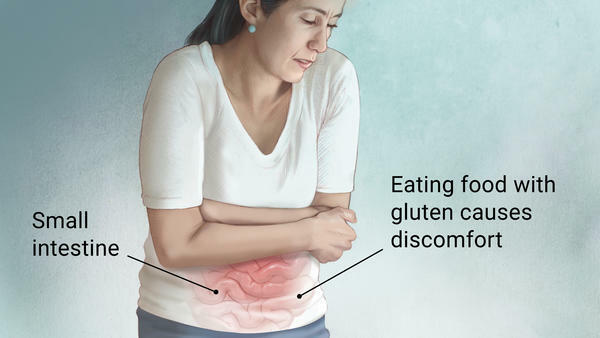 Celiac disease is an autoimmune disorder that triggers a horde of unpleasant symptoms in the body when a gluten-sensitive person consumes any food or product that contains gluten. The body’s autoimmune system identifies the chain of peptides in gluten as a foreign invader and launches an attack against it. This affects the villi (pronounced as Vill – Eye), a series of small projections which line the small intestine and are responsible for the absorption of nutrients. When the attacks happen repeatedly, the villi eventually get damaged and the body is unable to absorb nutrients from food, leading to malnutrition. Gas and Bloating: The unabsorbed nutrients are digested by bacteria in the gut which once again, triggers a response from the body causing gas, bloating and stomach cramps. Diarrhea: Due to the lack of absorption, the fat in food items are broken down by the bacteria into fatty acids which results in diarrhea. 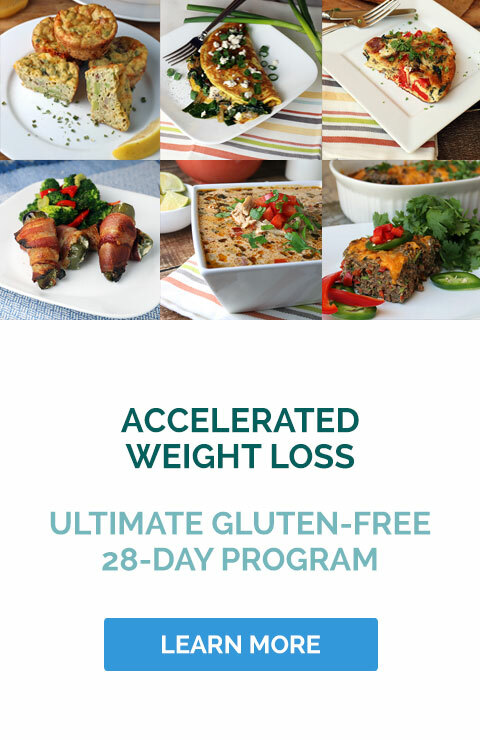 Weight Loss: A person with celiac disease loses weight because the body is unable to absorb calories or fat from the food they consume. Lethargy: Due to the constant inflammation, there is a release of certain chemicals in the body which makes you feel lethargic all day. Slow recovery: People with celiac disease have extremely slow muscle recovery after a workout, because most of the body’s energy is spent in trying to treat the inflammation in the intestine. Skin Rashes: One of the first symptoms of coeliac disease is a series of red, blistery rashes on the body, mainly on the elbows and knees. This is caused due to the antibodies that are produced by the immune system to tackle the gluten peptides. There is only one medically-proven way to diagnose Celiac disease. It is via an endoscopic biopsy of the small intestine, which examines the villi for signs of damage triggered by the immune system. This is carried out by a Gastroenterologist and may cost upwards of $3000. However, a simpler blood test called the Celiac test (Anti-tissue transglutaminase antibody (tTG-IgA) can also be conducted which checks the blood for increased levels of antibodies, which are released as a response to Gluten in the diet. For the test results to be accurate, you must be consuming foods containing gluten in your diet. This test may also be conducted to analyze the progress of celiac disease patients on a gluten free diet. Lower levels of these antibodies in the blood means that the therapy is effective. It is now estimated that almost 3 million people in the United States have Celiac disease. What’s worse is that 97% of the people who have the condition remain undiagnosed and untreated. Most people are only diagnosed late in life, which causes extensive damage. Knowing what is celiac disease and being diagnosed as early as possible is a must. What are the long term effects of Celiac Disease? 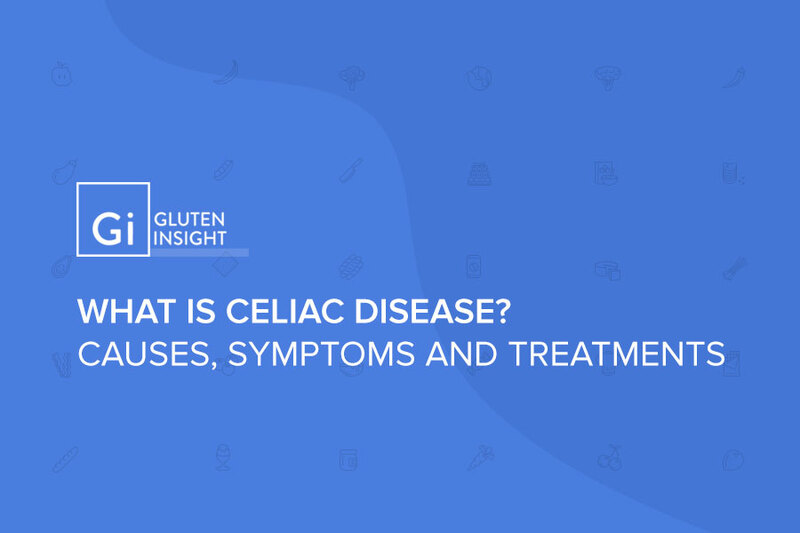 Now that you know what is celiac disease, understanding the long term effects of it is extremely important, most of the health hazards of gluten-intolerance that are propagated frequently in the media, are only the mild symptoms of celiac disease. If left untreated, it can develop into serious health conditions that may also be life threatening. 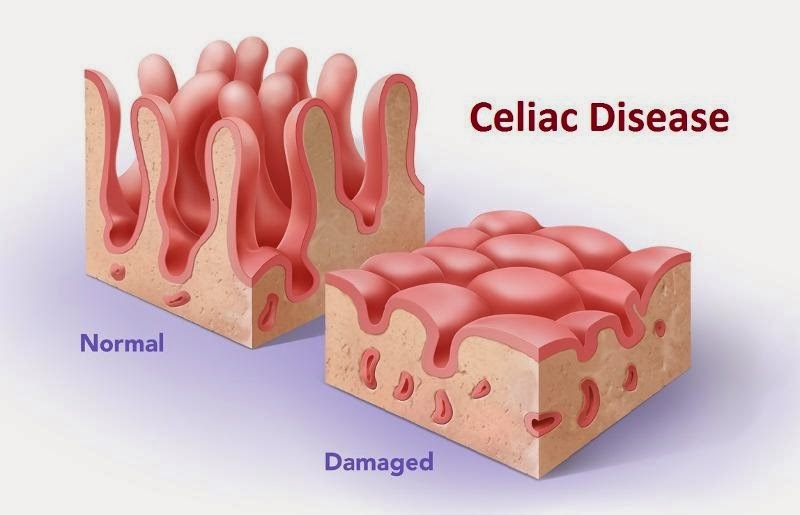 Brittle bone disease or Osteoporosis, a condition that is commonly seen in men and women above the age of 50, can set in earlier in people with Celiac. Intolerance to Cow’s milk and other products containing lactose. Epileptic seizures, migraine headaches, dementia etc. There are no medical cures for Celiac disease yet and the only way to treat the condition is to abstain from using gluten in any form in your diet. It has to be completely gluten free. Despite the fact that some people can consume gluten in small quantities even if they have celiac disease, it can still continue to damage the small intestines. So, it is recommended that you go 100% gluten-free. You should strictly not consume any food products that contain Wheat, Barley and Rye. Oats do not contain gluten peptides but many a times, are processed along with gluten based grains which can contaminate them. So, most doctors recommend that you avoid oats completely until the disease is in remission. The processed food industry is rife with gluten use in a whole range of food products. It is not uncommon to find gluten in candy bars, instant coffee, pasta, flavored yoghurt, baked products, processed meat and canned food. Read the food label carefully before you consume it. Gluten is also used as a binding agent in the pharmaceutical industry. So, you may want to ensure that your capsules, tablets and vitamins are gluten-free. Beer must be avoided strictly. You may however, consume other alcoholic beverages that do not contain barley. Dairy products containing lactose are to be avoided strictly. However, these can be reintroduced into the diet under the supervision of a doctor, at a later stage. To cope with the nutritional deficiencies, your doctors may prescribe vitamin and mineral supplements. Pediatric celiac disease or Celiac disease in children may also be on the rise in many parts of the world. While the exact cause for the condition remains unknown, it is estimated that children have a 5 to 10% chance of having the condition if it runs in the family. Unlike adults, who are often diagnosed with the condition at a very later stage in their lives, it is much easier to diagnose the condition in children if you are aware of the symptoms. Most children experience a bout of diarrhea, bloating and gas between the ages of 1 to 2 years. This is usually also the time when they are introduced to foods containing gluten. But most parents and pediatricians may consider it to be a sporadic case of IBS or digestive problems which are common in children. If you have a child in this age group who has recently been introduced to wheat or other foods containing gluten and they are displaying symptoms related to Celiac disease, then you must speak to their pediatrician about a test for celiac disease. Early diagnosis is the key to eliminating constant health problems in children. But what makes diagnosis difficult is that some children may display symptoms for a while and then it subsides all of a sudden, only to reappear in times of stress or an injury. In such cases, the children are called asymptomatic children who do not immediately display the symptoms of celiac. This may delay the diagnosis and allow the condition to go undetected for a long time. The only way to get a definitive diagnosis is to undergo the celiac test. In most cases, an endoscopy or a biopsy may not be required. If the child tests positive for anti-tissue transglutaminase (tTG) antibodies and is a carrier for the HLA DQ2 and/or DQ8, which is normally found in people who have celiac disease, then it is considered as a positive test result for Celiac. Will it affect my child’s diet and life? Unfortunately, the only treatment for celiac disease is to go completely gluten-free. While this may seem like an uphill task for the rest of their lives, it is not the end of the world by a long shot. There are a plethora of nutritious foods which they can enjoy, including vegetables, grains, legumes, fruits, meat and beverages. With the increase in the number of people who have celiac, there is a whole industry that produces gluten free food products. So, your child’s quality of life will not be affected. The only outcome of going gluten free will be a better life, so understanding what is celiac disease is important at an early point in life. You must however, be diligent about avoiding gluten in all forms in your child’s diet. Ensure that you read food labels, check medicines and also avoid dairy products until the doctor confirms that the condition is in remission.